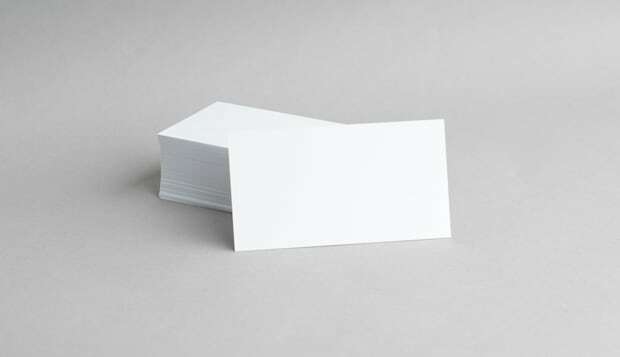 Because of the omnipresence of smartphones and how easy it is to exchange digital contact info these days, business cards aren't quite as essential as they used to be. 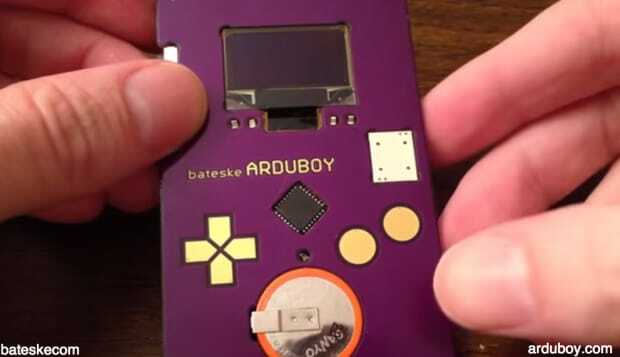 However, a unique business card that helps you stand out could still help cement you an interview at your dream job, especially if you're in the creative tech industry. We scoured the web to find some of our favorite examples of thinking outside-the-plain-rectangle. 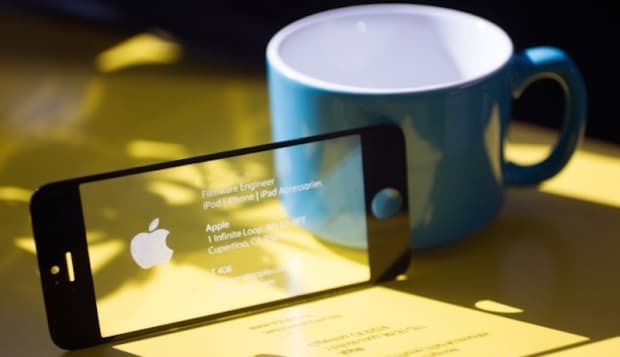 This glass business card is made from an actual iPhone screen. 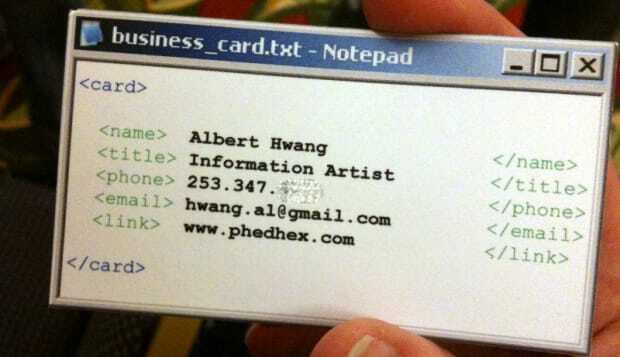 These geeky business cards make it look like you're holding an actual Notepad file. 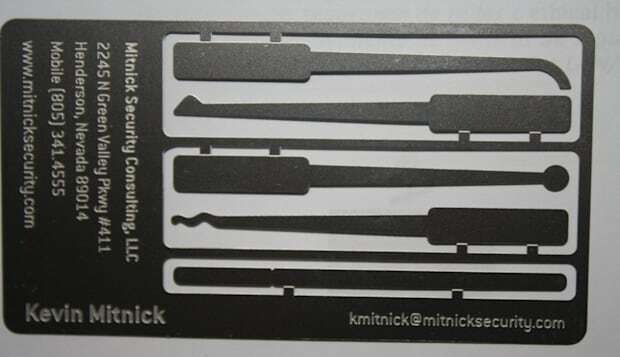 This security consulting firm uses a business card made of workable lock picks. 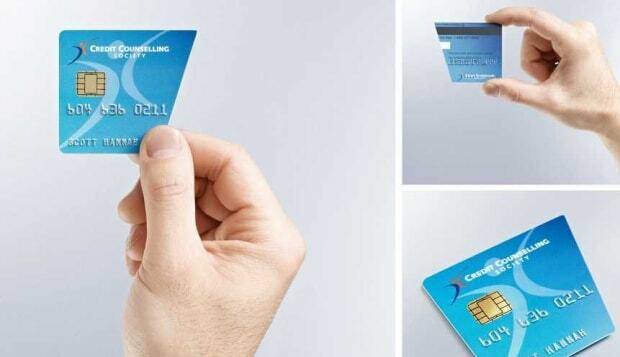 The Credit Card Counseling Society in Vancouver makes business cards that reflect the company's purpose. 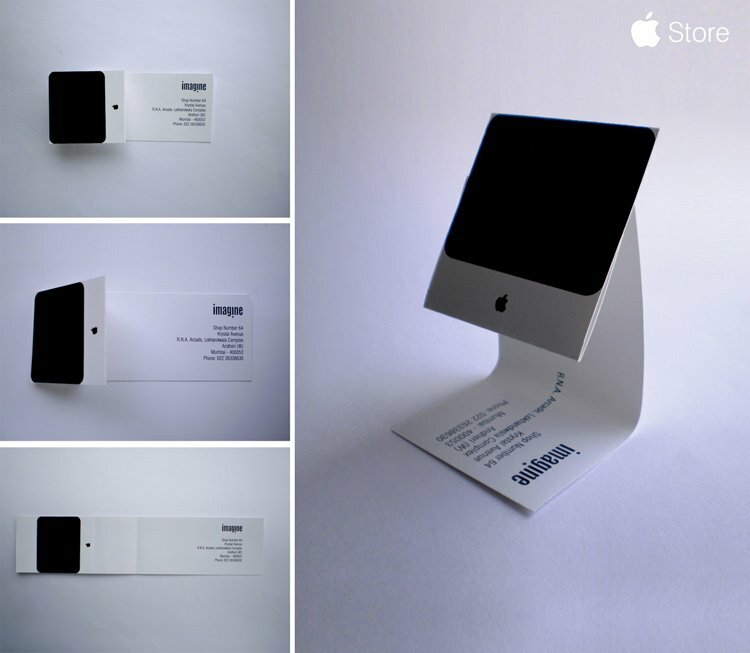 This clever card folds up to look like a Mac computer. 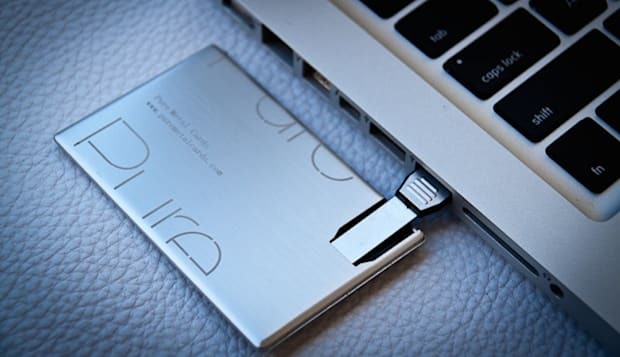 This company designs business cards that have USBs attached. 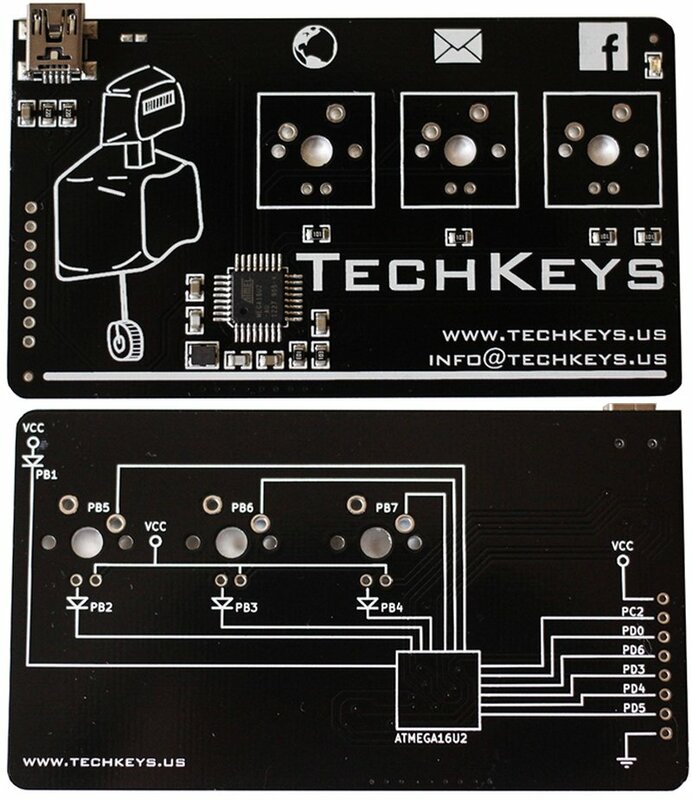 The custom keyboard company TechKeys created a business card that is a functioning keyboard. 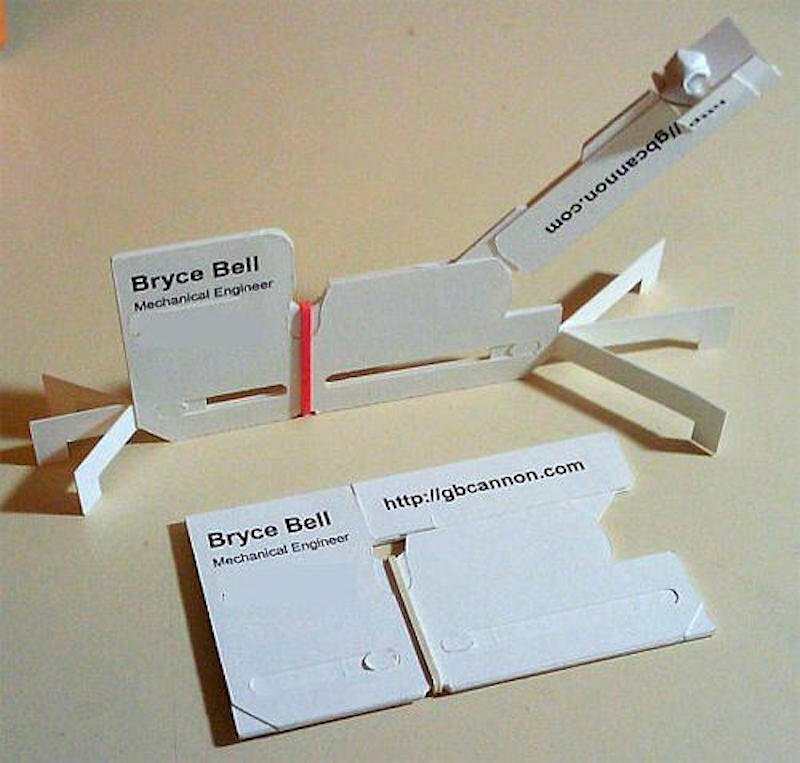 A mechanical engineer named Bryce Bell created the "Cardapult," a business card that doubles as a catapult. 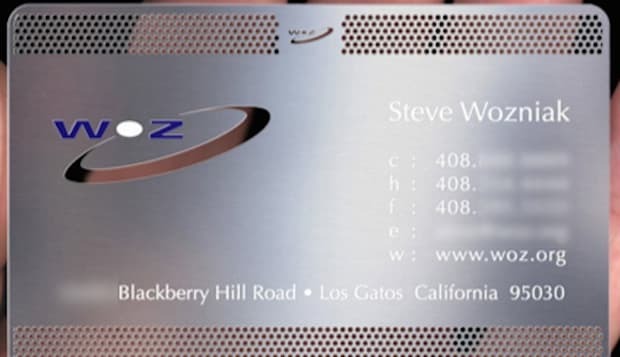 Bonus: Apple cofounder Steve Wozniak famously told Stephen Colbert that he uses his metal business card to cut steaks on airplanes. 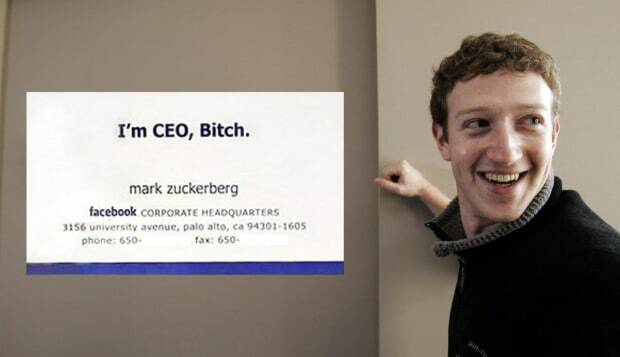 Bonus: Mark Zuckerberg used to have a set of very blunt business cards for internal use.